With a heavy heart I fitted a new set of discs (40 minutes, a new personal best) this morning and the judder has gone, I really didn't expect that. 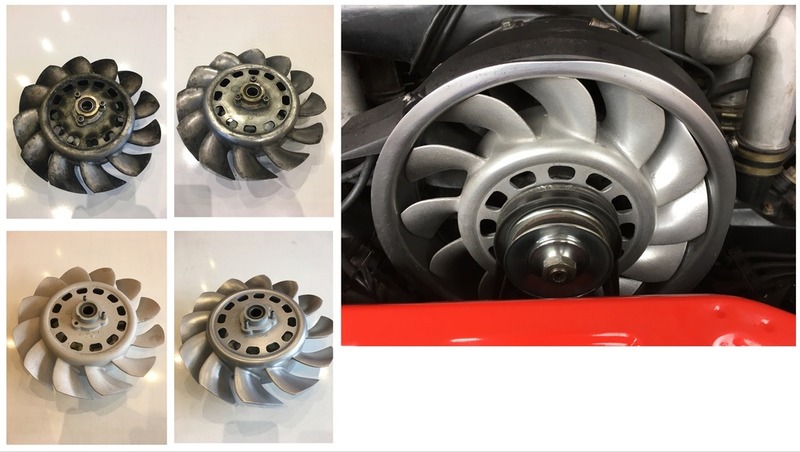 I wondering, the discs had been powder coated by the previous owner, all surfaces except the braking surface faces and inner hub mounting face but including the inside of the vents as best I can see. Could the power coating or the coating process have warped the discs? The question is, do I now fit my new and powder coated rears or take advantage of the Christmas sales and buy new - I think I might know the answer. Chuffed you've sorted it Steve, that calls for a celebratory wine! Odd problem, especially if the discs are showing no run-out. Powder coatings typically cure at 200 degC, so well below the potential temperatures that the discs run at. Maybe the vents have been clogged up with powder, causing the discs to go out of balance and creating a vibration which is discernible under braking? Or maybe the discs were out of balance even before the powder coating? Finally, after waiting longer than I wanted, I have the wheel alignment done and a proper ride out yesterday. Whilst I'm still grinning like a Cheshire cat, I'm a bit disappointed that the ride still seems very crashy at the rear, which is a surprise given all the suspension is new. Engine mounts also very recent. I seem to be able to feel every road scar in my bottom. I'm currently fitting a Tore Bergvill LED lights to the centre console after busting one of those teeny bulbs. I managed to buy, at extremely good price, from OPC, new fuel delivery and return tubes. As some will recall, I sprung a leak last year and replaced half of the delivery tube with modern PTFE hose - but that was not sitting well so I thought I'd get the tubes in readiness. Well, now that my bodywork, wheels, suspension and brakes are sorted I thought I would start making the engine compartment look pretty. Top right - after 60 minutes of hand polishing - gave up! Bottom right - hand polished with steel wool and Mothers Mag polish, about 60 minutes. Big picture - back in the car and protected with Gibbs Fluid. I polished the inside of the cowl at the same time, but without blasting, and blew the alternator clean with compressed air. All in about 2 hours of polishing, £15 of blasting. I'm quite pleased with the result. Next the dreaded sound deadening that is hanging off following a fuel leak. Your polished fan looks great! I'm planning on doing something similar with my 3.2. Will catch up on your details when on our next run. Did you resolve the harsh ride? My suggestion is to drop the tyre pressures by 2psi. looks great Steve , i had my fan powder coated plus the black housing the paint is already coming off the housing ! ..
Well that was a complete PITA replacing the very few images I have in this thread - thanks Photoshop! I really feel for those with hundreds of images lost. For your interest here is a link to a few nice images of my car that a local photographer made recently. Who are you using to host the images now Steve? I'm hosting on my own domain. I've had it for years for email only, so thought I'd put it to more use. I upload photos to the website with an FTP server thing and then link here as you would from Photobucket. Saw your pics on Facebook, looking grand! Still smarting about photo bucket to be honest, I still need to go on and see if I can get my pics back!